At first view, nothing distinguishes the current operations in the Poloidal Field Coils Winding Facility from those that got underway last November: steel-jacketed conductor is being unspooled, straightened, cleaned, bent to the correct angle, and wrapped with layers of insulating tape ... technicians in white lab coats are carefully performing dimensional checks ... and there is the same machine hum and flash of orange lights. The real thing—production winding—has started for poloidal field coil #5. In this on-site facility at ITER, Europe will produce the four largest poloidal field coils. 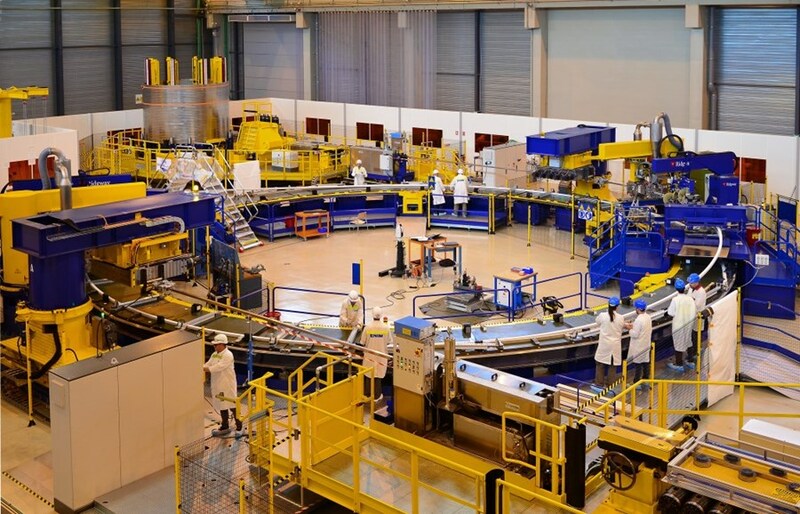 Although invisible to the eye, the difference is nonetheless essential—this time it is not "dummy" conductor on the winding table but the actual niobium-titanium (Nb-Ti) superconductor for poloidal field coil #5 (PF5). 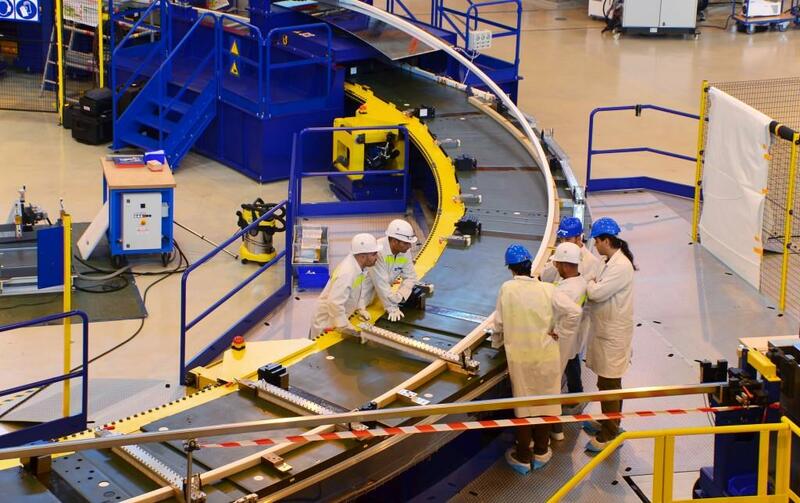 Measuring 17 metres in diameter, PF5 will be the second ring coil to take its place in the Tokamak assembly sequence, just above the smaller poloidal field coil #6. The difference lies in the heart of the steel-jacketed component. In the dummy conductor, the strands were one hundred percent copper. 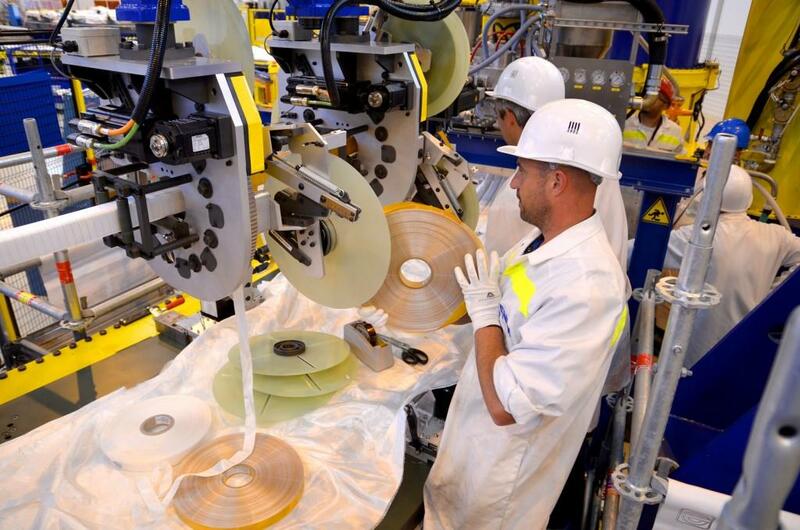 This less-expensive material—which respected the actual dimensions of the true conductor—was a good choice for qualifying the production line; contractors used it to first produce a semi-winding (four turns) and then a full two-layer dummy double pancake. In the actual conductor, the strands consist of a mix of copper and of the superconducting alloy niobium-titanium. 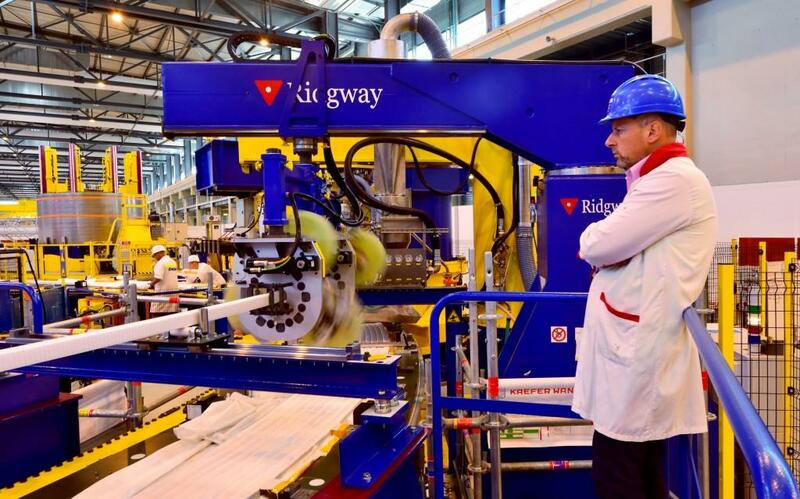 Four poloidal field coils (out of the six needed for the machine), will be manufactured by Europe in the Poloidal Field Coils Winding Facility. With diameters of 17 to 24 metres and weights ranging from 200 to 400 tonnes, these impressive components will require approximately 18 months each to manufacture. 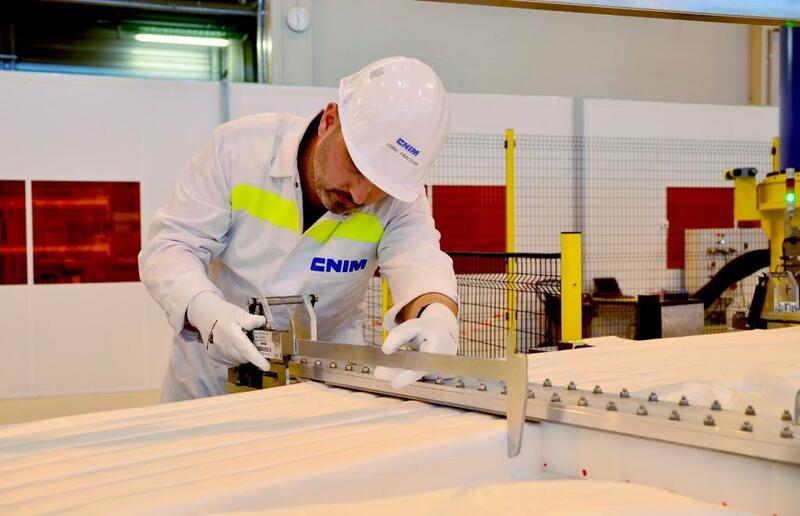 Two smaller ring coils, with diameters of approximately 8 metres, are in production now in Russia and China. 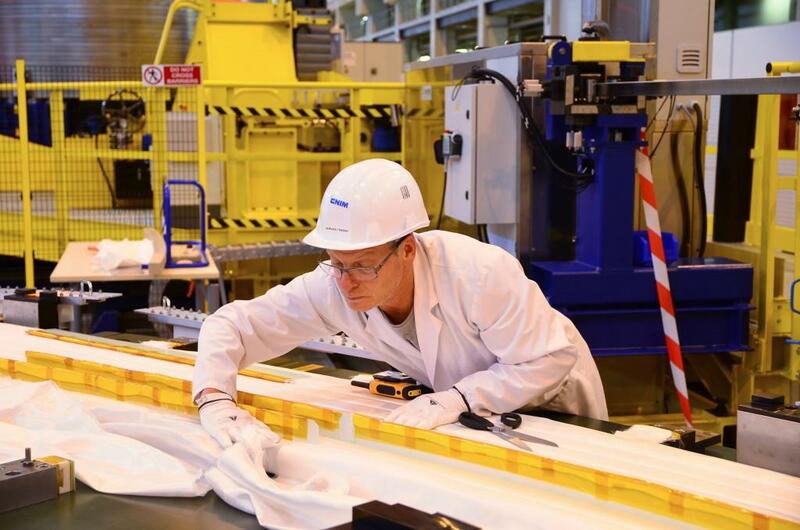 See a recent report from the European Domestic Agency on fabrication activities for poloidal field coils #5 and #6 here. Lab coats and overshoes are mandatory in the "clean room" where operators have started on the first conductor turn for poloidal field coil #5 (PF5). Following the fabrication of several qualification "dummy windings," the "real" winding has begun.